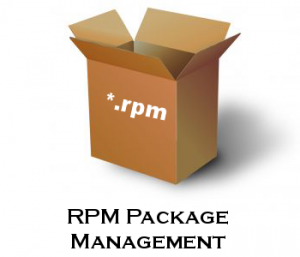 RPM (Red Hat Package Manager) is an default open source and most popular package management utility for Red Hat based systems like (RHEL, CentOS and Fedora). The tool allows system administrators and users to install, update, uninstall, query, verify and manage system software packages in Unix/Linux operating systems. RPM is free and released under GPL (General Public License). RPM keeps the information of all the installed packages under /var/lib/rpm database file. RPM is the way to install packages under Linux systems, if you’ve installed packages using source code, then rpm won’t manage it. RPM deals with .rpm files, which contains the actual information about the packages such as: what it is, from where it comes, dependencies info, version info etc. 1.Install : It is used to install any RPM package. 2.Remove : It is used to erase, remove or un-install any RPM package. 3.Upgrade : It is used to update the existing RPM package. 4.Verify : It is used to query about different RPM packages. 5.Query : It is used for the verification of any RPM package. 1.How to install RPM in linux ? #rpm –ivh packagename // To install a RPM we need to use -i option. 2. How to remove a RPM ? #rpm -e packagename // To remove a RPM file we need to use -e option. 3.How to Upgrade a RPM ? #rpm -Uvh packagename // To upgrade a RPM we need to use -U option. 4.How to check installed RPM? #rpm -qa packagename // To list or find a installed RPM we need to use -q option. #rpm -ql packagename // To list all files of installed rpm we need to use -ql ( query list) option. #rpm -ivh --nodeps packagename // To install a RPM without any dependencies we need to use --nodeps option. #rpm -qpR packagename // To check the dependeny for a RPM we need to use -qpR option. -p : List capabilities this package provides. -R: List capabilities on which this package depends. 8. How to Check an RPM Signature for a Package? #rpm --checksig packagename.rpm // We need to use the option --checksig for signature verification.